Things have been equally cold on Capitol Hill, where Republicans continue to play politics with Israel. All Senate Democrats support military aid to Israel and oppose the Boycott, Sanctions, and Divestment (BDS) movement, yet Republicans continue to falsely state otherwise. This week, Republicans continued to play political games with Israel by forcing a fourth and fifth vote on a package of bills related the Middle East. While JDCA supports these bills – and urged Senators to vote for the legislation – we also condemned ongoing Republican attempts to politicize Israel. If you’re sick of cold weather but progressive, values-driven, pro-Israel advocacy warms your heart, read on to learn how you can take action and support the Jewish Democratic Council of America (JDCA) today. This week, President Trump erroneously claimed that cold weather disproves global warming. 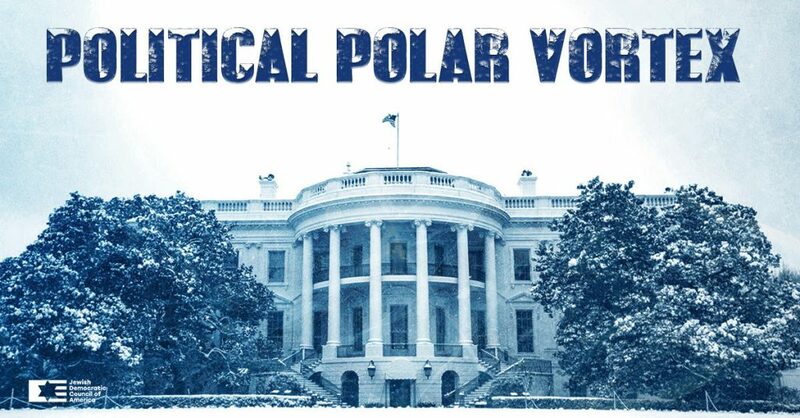 This not only disregards the difference between weather and climate, but also the science proving that the increased severity and frequency of extreme weather is an indication of climate change. Our Jewish values compel us to protect the planet as a part of caring for our neighbors and future generations. 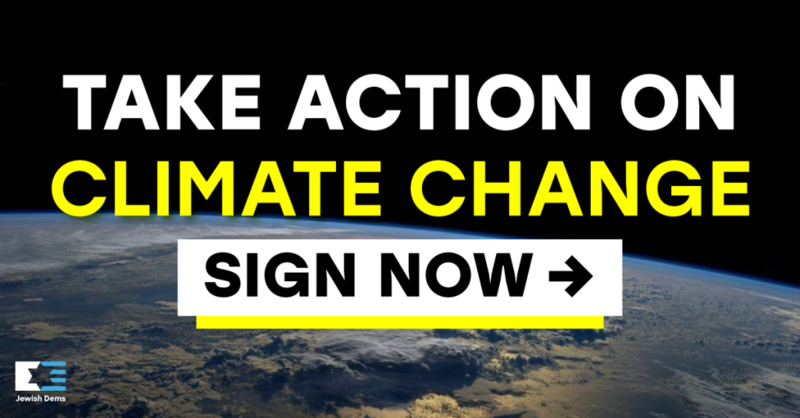 JDCA spoke out against the president and is committed to advocating for action to reverse the dangerous impact of climate change. Join JDCA by demanding that Congress take action to protect our environment and invest in our renewable energy future. 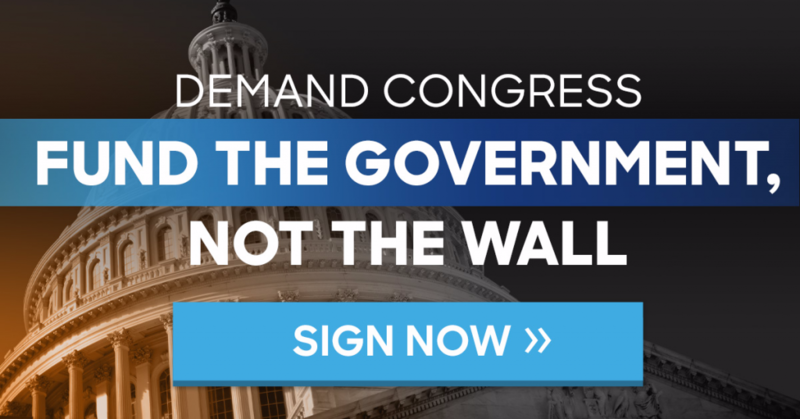 JDCA strongly objects to Trump’s threat to declare a national emergency if Congress does not fund his border wall. There is no emergency at our southern border, and a wall – a medieval solution to a 21st century problem – is not the most efficient or effective way to achieve border security. This week, JDCA continued to call on Senate Republicans to fund the government not the wall and find a long-term funding solution to avoid another government shutdown when negotiations are completed on February 15. We have already received over 7,000 submissions from our petition and letter writing campaign. Join us today! This week, JDCA spoke out against ongoing hate crimes that have risen since President Trump took office. Earlier today, residents of LA found “F**king Jews” painted on a local synagogue, a vile act which JDCA denounced. Hate crimes against Jews rose by more than a third in 2017, according to FBI statistics, and hate crimes overall have increased 92% since the 2016 election. By normalizing and refusing to denounce hate, President Trump has emboldened bigots across our country. 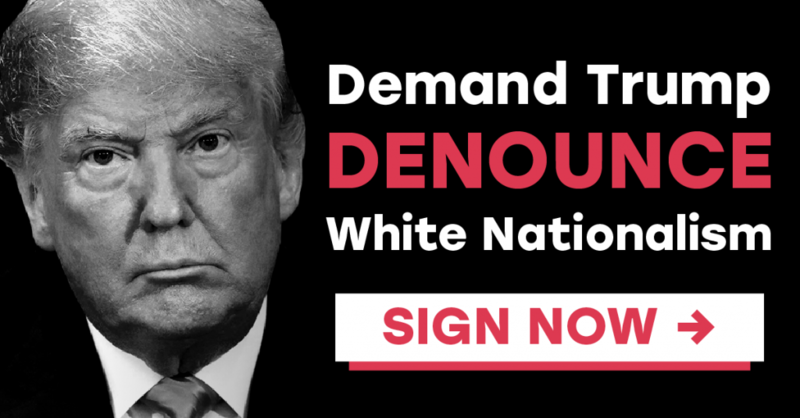 Join us in calling on President Trump to denounce white nationalism. This week, the head of all U.S. intelligence agencies, Dan Coats, contradicted President Trump’s statements on North Korea, Iran, Russia, and ISIS in testimony before the Senate. Contrary to what President Trump has claimed, Director of National Intelligence Coats made clear that ISIS has not been defeated, North Korea remains a nuclear threat, Iran has not violated the nuclear agreement, and Russia poses a danger to our democracy. Despite this public testimony, the president decried “fake news” when responding to reports of the hearing. JDCA responded by affirming its concern that the president’s mocking and contradiction of the U.S. intelligence community’s worldwide security threats assessment is – in and of itself – a threat to our national security. JDCA also amplified a poll demonstrating that the majority of Americans disapprove of President Trump’s foreign policy. JDCA welcomes the establishment of DMFI. While our missions are distinct, we look forward to working with DMFI to advocate for a strong U.S.-Israel relationship and to elect Democrats. JDCA is the voice of Jewish Democrats, and the only organization which mobilizes and energizes the Jewish electorate in support of Democrats. We are proud of all we have accomplished over the past year and a half serving as a pro-Israel voice within the Democratic party and advocating on a wide range of progressive policy issues, including support of the U.S.-Israel relationship. We look forward to working with DMFI on shared objectives. JDCA is expanding our team and operations, and we need your ongoing support. We plan to accomplish great things in 2019 and beyond, and look forward to working with you to further our values. JDCA is also looking for a Communications Director. If you are interested in applying, or if you know anyone who might be interested, please check out our job posting here.